Yokohama tyres and car enthusiasts often go hand in hand. One of the best aspects of our work here is seeing all of the incredible shots of cars, whether static or in action, taken by both professionals and amateurs alike. 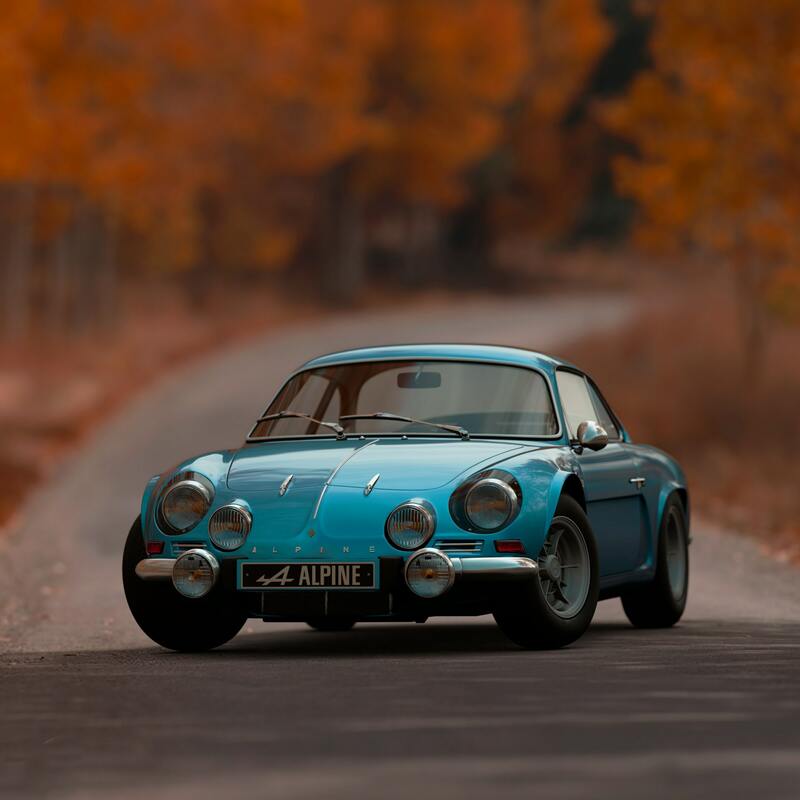 If you would like to begin or improve a car photography portfolio, we’ve compiled a list of tips to help you along your way. If it was a simple as pointing and shooting, we’d all be expert photographers by now. In the digital age of smartphones, most of us have cameras (and an Instagram), but access to the tools does not make a photographer in the traditional sense! To improve your images, you need to start building up an awareness of everything that goes into making a great shot. This means paying attention to composition, lighting conditions, the background, the angles you’re capturing and shooting from—and of course, getting to know your camera’s settings. You can’t expect yourself to know it all immediately, but you need to put some effort in! Not all times of day are created equally, we’re afraid! Natural light varies throughout the day and in fact, the hour after sunrise, and the hour before sunset generally offers the best lighting in general. The low angle of the sunlight adds texture and warmth, while the dimming lighting makes balancing all your different elements easier. Pay attention to everything from the diverse colours in the sky to the clouds, as they can have an impact. Learning to work with backlight is important as well. Your car lights can come into play as well! If your headlights are on, you’re typically going to have a strong and powerful image. During the day, the brights can help as well. Your settings will be part of the equation here, but so too will your editing skills. Do some research into your aperture, ISO levels and the different editing software available. The way you frame your photographs is important, and no, we’re not talking about physically framing them on the wall! This is where lenses really come into play, as well as the level of zoom. Don’t be afraid to experiment with physical distance in addition to the camera itself—it’s amazing what a little walking away can do! Consider whether you want to focus on the background. Do you want the background to be magnified, or blurred? “Bokeh” is a technique which allows you to defocus your background, and therefore put all the attention onto your subject (in this case, usually the car itself). This is achieved by setting the aperture as wide as possible and boosting up your shutter speed. Highlighting your subject not only looks stronger in some cases, but it can also look really creative and stand out as well. The right location can make or break your photos, so Google Maps is going to be your friend. Think of places that will suit the kind of shoot you’re going for—do you want nature shots to complement the vehicle, or possibly something edgier, such as graffiti or a skate park instead? Think about your chosen location in context too. What time of year is it? What is the weather like? Can you use either of these factors to strengthen your image? Being static isn’t ideal until you’ve found the perfect spot. Be prepared to drive or walk around, but most importantly, be prepared to wait or keep going if you want to get that perfect shot. Lots of car photos have been done a thousand times before. Shake up everything from the venue to your angles, and even think about how you can incorporate the interiors. The most surprising thing can often be the realisation that some of the best car photography isn’t even all about the car. Capturing just a little of it can be alluring, or it can be used in lifestyle shots with a great composition of a stunning background, to show how cool your car actually is! Sometimes even the most “boring”, generic shoot locations can be the ones that most make your car seem “alive”. The trick is to make them seem exciting. Play around with height and levels, to make the location almost indistinguishable. This is a great tip in general—crouching, perching on top of something or even using a tripod can drastically change an image. It’s all about those angles! Automotive photography is something attempted by many, but it’s something excelled in by far fewer. Keep experimenting, be creative and as you work your way up, try incorporating different equipment. The happier you are with your car, the happier you will be with your photos. Yokohama has an impressive array of tyres to give your vehicle that "wow" factor. You should look out for our Advan Wheels—offering high performance, they make for brilliant additions to static or evenmotion photographs!